Businesses use technology every day. Because of this, there have always been people who try to use this technology against their users to extort money or information – sometimes both. Recently, a new hack was found that allows an attacker to break into your Mac or iPhone just by sending you a picture. Sending the picture over text or email doesn’t matter, just as long as your receive it. Apple has already released a patch to fix the security loophole that allows for this. All you need to do is update your operating system. Since we use our computers and phones to store confidential information for our businesses, it is critical that we don’t allow these hackers access to them. There are many ways to prevent people from gaining access to our devices, listed in greater detail below. Every day, I hear someone say that constant software updates are “annoying”. That may be true, but preventative measures like updates are crucial for avoiding an attack. Some updates released for your programs are specifically designed to plug security holes. This makes it more difficult for people to gain access by removing the entryway. Think of it like trying to walk through the automatic door at a store, but it keeps closing every time you get close. Although this seems like common knowledge, sometimes we run across someone that has a very predictable password. None of your security measures will matter if someone can guess your password. Having a mix of letter, numbers, capital letters, and symbols helps to beef up security. An antivirus scanner such as MAV or Malwarebytes can drastically cut your chances of falling victim to an attack. As with software updates, running antivirus scans take a long time and can be rather annoying. However, they are crucial to your businesses security, and should be run often. You can use them to keep from being hacked. The Apple hack is a special case. Most of the malware attacks seen recently have been user error. Either the person opened an email containing the virus, or downloaded it from a disreputable website. Without proper training, your employees become your largest security risk. Make sure to educate them on proper security procedure so you don’t find yourself with a Trojan horse for an employee. It seems to be in direct contrast to everything else, but the best way to manage your security is to not manage it at all. By hiring a managed service provider, you are letting a trained professional handle all your security needs. This allows you to have a well maintained network without the time commitment or training. For more information on exactly what this can do for your company, see our previous post: What a Managed IT Provider Can Do for Your Company. Too often, businesses are caught in a tight spot due to lacking security measures. 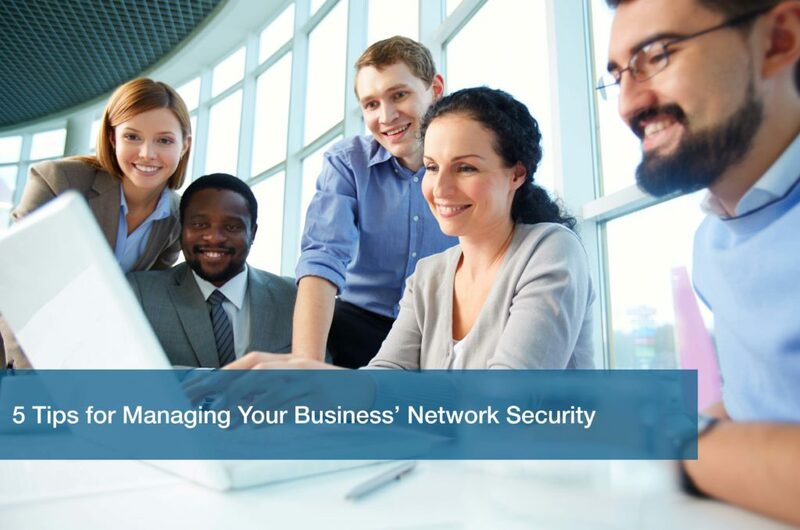 To protect your business and clients, you need to make sure that your network is in top shape. Whether it be running updates, changing your passwords, or running antivirus scans, you should always keep your computers protected as best as possible. Create procedures for your employees to follow to make sure they are protecting your business. Or, allow a managed provider to do it for you. Whichever way you choose to manage your IT security, know that it is important to your business.